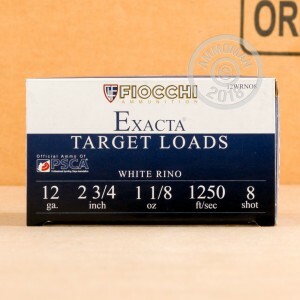 This 12 gauge birdshot load from Fiocchi is designed to produce lower felt recoil, a particular benefit for high-volume and newer shooters. Each 2-3/4" shell fires 1 1/8 ounces of #8 shot at 1,250 feet per second, producing good patterns without the kick! 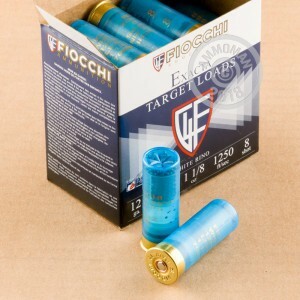 These shells use lead antimony shot and are ideal for shooting clays and various types of birds. Fiocchi shotshell ammo is loaded in Ozark, Missouri. These shells come in a case of 250 sorted into 10 boxes of 25 shells each. Grab a couple cases from AmmoMan.com and enjoy free shipping, as with any order over $99!